The new partnership between the city’s largest university and its Premier League football club will build on existing collaborations through the university’s School of Sport and Service Management and School of Pharmacy and Biomolecular Sciences in the areas of sports science and medicine. The new partnership will provide a platform for a range of activities, including potential research projects (including potential co-funding of PhD opportunities) and joint work on community programmes. 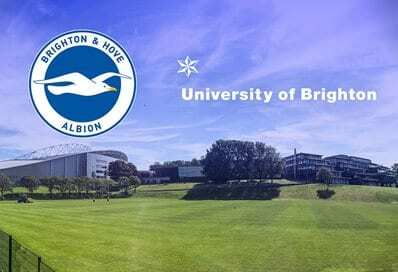 The announcement comes on the same day that Brighton & Hove Albion and the University of Brighton were named by the FA as one of ten new academies for the Women’s Premier League.